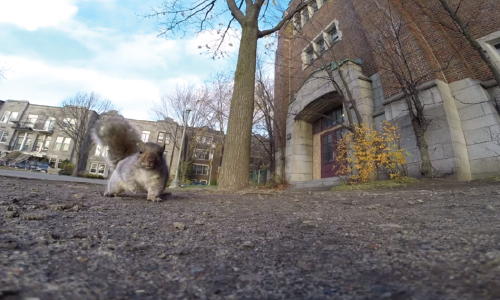 This clumsy squirrel will melt your (stone cold) heart. See what happens when the curious little fur ball snags an expensive accessory (high-def Go Pro anyone), charges up a tree, looks for the playback button, and.. drops it. Cuteness overload. Support wildlife here.